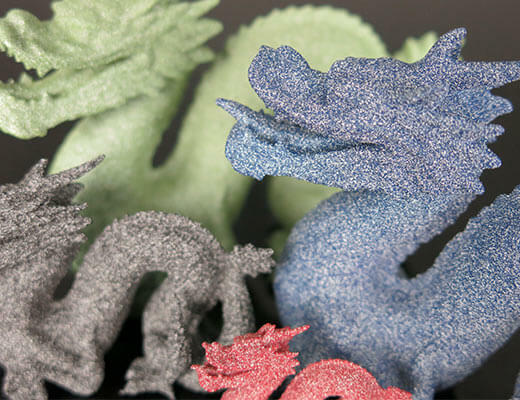 Objects printed in alumide are made from a mix of polyamide powder and fine aluminum particles. 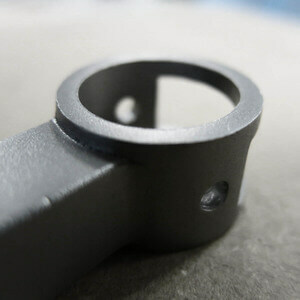 The raw material makes for a matte surface which is somewhat porous and shiny. Alumide is no more or less durable than polyamide. In fact, their physical properties are very similar. This makes great freedom in your designs possible - allowing for both complex and inclosed volumes. Additive manufacturing can help you with your product developmen t way more efficiently than with injection molding . A lumide material is a great 3D printing material to do some rapid prototyping . It could be good to work and rework on your 3D design. 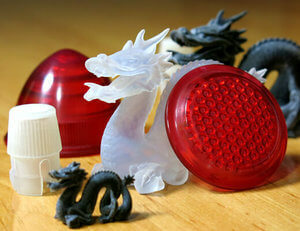 3D printing products or parts of your final products is also totally possible with alumide. The printing price of your design is calculated automatically the moment it is placed online. As you modify your object (changing size, using hollowing feature, etc.) you will note that the price changes automatically. The pricing is based on a series of factors, including: volume of material used, size of object, and multiple other factors. The shipping for an alumide object is 3-6 days. This time can vary depending on the current volume of orders being processed. Adding a finish, like polishing or dyeing, can add a few days to this time. The estimated shipping time is also calculated automatically as the object is uploaded. Once you transfer your 3D model and submit your order on our website, it is received by a Sculpteo team member, who expertly places the model into the next available batch. The object is then printed through one of our EOS P395. Selective Laser Sintering uses a highly specific laser that sinters thin layers of our alumide powder together one layer at a time. After each round of lasering, the printing bed is lowered and another layer of powder is evenly swept across the top for another round of sintering. This process is repeated until the object is completed. The object is then brushed, which removing a large portion of the powder, and sandblasted, which removes the fine powder that the brush may have missed. 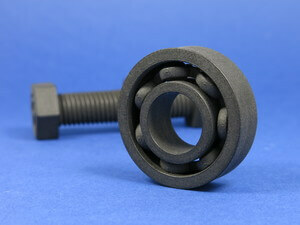 Alumide offers great flexibility for a 3D print, especially complex models, as it is durable, and not too expensive. As a result, it can be used for ornamental objects that require metallic appearance or mechanical parts which are subject to low stresses. With regards to water qualities, alumide is water-resistant but not waterproof. Thus the 3D object must not stay in contact with water for extended periods of time. In terms of temperature, if the alumide is subjected to heat above 120°C (248°F), the physical form of the object can significantly be altered. As a result of their rough surface, objects in alumide quickly become dirtied. This can often be fixed with soapy water and a cloth, letting it dry thoroughly. There are multiple coloring and finishing options available through Sculpteo. The objects printed in a grey color, though they can be monocolored in a large bath. The available colors include: grey, black, blue, red, green. The dye bath and mechanical polishing machine introduce a size restriction on your object, as the object will need to be completely submerged in the tint and/or abrasives. To learn more please check out size restrictions bellow. If you are planning to use the 3D printing technology to create objects with the alumide material , there are some design specifications to follow. Pay close attention to these informations before sending us your 3D design . Our alumide 3D printer, the EOS P395 gives us a layer precision of 150 µm (0.15mm). The maximum size of your models are limited by the physical size of our 3D printers - nothing can be printed larger than the printer bed -, the one of our mechanical polishing machine and dye baths. Your object must also respect the minimum dimensions of alumide 3D prints (explained bellow). For an object that is sure to be solid, a minimum thickness of 2 mm is recommende d.
A detail’s minimum precision is mainly determined the resolution of our printers. However, during the cleaning process, a fine layer of detail can also be lost. In order for a detail and text to be visible we recommend following our recommended sizes at the very least. To ensure a better powder removal (thus a better detail precision), the width of your details must be at least as big as depth. 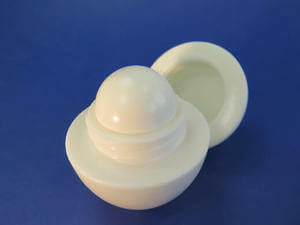 Our alumide material has the ability to be printed in the some complex designs. An example of a complex design is a volume enclosed within another volume or with articulations. Our alumide 3D printers have the ability to print in a fully interlocked object out of the printer, with no support structures to remove. Clearance should be at least 0.5 mm and depends on your objects size. For big sizes, the clearance should be greater. The heated zone of your object depends on the size, the larger the object the more time it will be exposed to high temperature : if the space left between the walls is too small, it will be weld because of heat spreading. Objects printed in alumide can be printed to be assembled. As long as a width of at least 0.5 mm is left between the different parts of the object. This is not possible to 3D print a 3D file containing several objects with alumide.